Keeping with the video which was filmed in 1996 one of my oldest Islay pictures from 1999, my second visit to Islay. 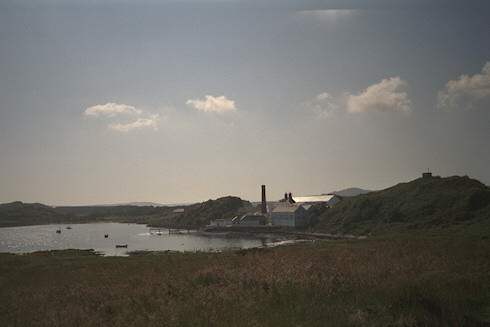 That's obviously Lagavulin distillery on the south coast of Islay, taken on a brilliant sunny summer's afternoon. As usual I'll post the larger version on my Islay Pictures photoblog tomorrow. I think that's all I have for this evening. Good night and have a great weekend!